If you are not the type of player who enjoys a challenge, this may not be the mod for you. 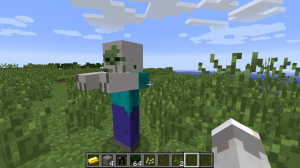 User Tyler1555 presents us with the Mini-Bosses mod which brings several new mobs to the world of Minecraft, as well as strengthening some existing ones. It also makes slimeballs useful! Awesome! This block acts as an enhanced fertilizer for growing crops. Trampolines in 1.8 are awesome, but having an actual reason to hold on to my 500+ slime balls fills me with joy. Moving on to the next mobs, the Iron Zombie and Dark Iron Zombie can be dangerous if approached by the ill prepared or caught unexpectedly. These iron clad zombies are tougher and stronger, and have an interesting ability: when attacked, players may be disarmed (i.e. their weapon will drop). As if being swarmed by zombies in a dark cave wasn’t bad enough! Iron and Dark Iron Zombies drop the new dark iron material though, which can be used to craft the new dark iron set. Worth it! Next up are the Forest Guards. 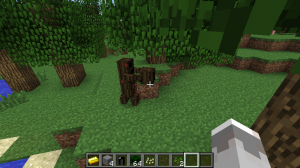 These are apparently a tree-dwelling variant of the Creeper with less of a tendency to explode – in fact, they don’t explode at all. I like them already! They will, however, stalk you endlessly through the forest and smack you with a chunk of wood. This terrifying amalgamation of the player model, a spider, and pure evil looks like something I saw in a nightmare once. Though they can no longer climb, they are quite strong. I have yet to come face to face with one in-game, but according to the developer, they will speak to you. To reiterate: terrifying. Aside from these new mobs, zombies and skeletons also have the chance to spawn with unique modifiers, in the fashion of old roguelike RPG adventures. They also get unique names, similar to the system found in the Diablo series (if you are familiar with it). Download the latest version of Mini-Bosses Tyler1555’s GitHub. I am a huge fan of roguelike games, so more variety in monsters absolutely appeals to me. This mod is still in its early stages; stay tuned for more mobs and more awesome! 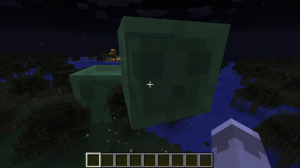 If you could add any modifiers to the randomly generated micro-bosses in this mod, what would they be? Leave your ideas in the comments below!